Posted by Torch Staff on April 7, 2018 in Tire Fire, Top Stories. 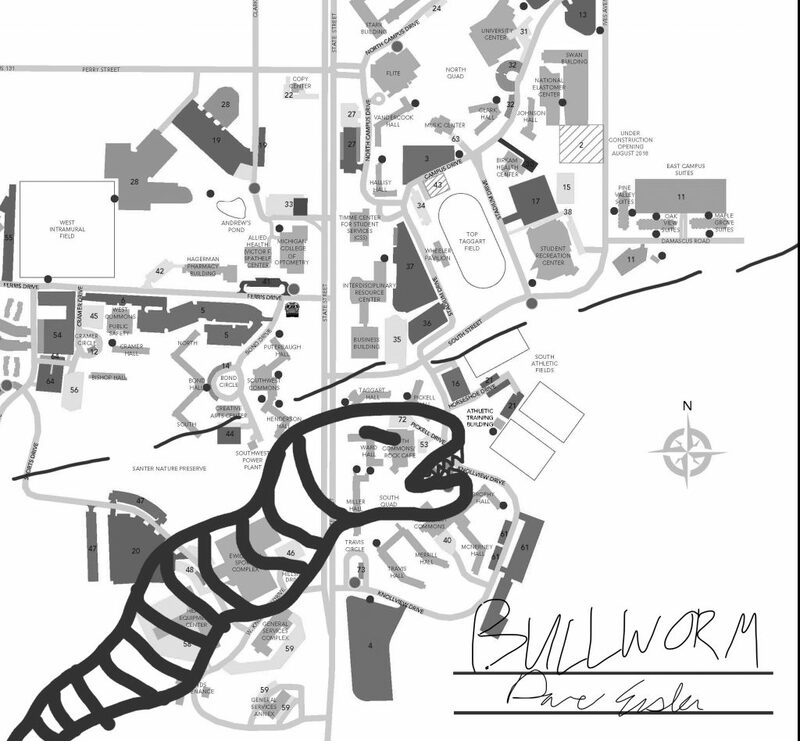 FSU President David Eisler signed a peace treaty granting the Alaskan bullworm all of south campus in exchange for protecting north campus as a worm-free zone. The reasoning behind building a new residence hall on the north side of campus while several sit uninhabited on the south side of campus has finally come to light. “After much consideration by many very important, decision-making people, it has been decided that we’re going to take all of South Campus and PUSH it somewhere else,” a press release from the office of Ferris Vice President Jerry Scoby read. The arrival of an Alaskan bullworm, an invasive species in Michigan, was cited as the reason such a decision was reached. The press release goes on to describe the physically impossible manner in which administrators plan to push an entire side of campus elsewhere. “We’ll need every Bulldog to come together to push. If we can just get everyone with hands on the south face of each building, we should be able to move it pretty easily,” the press release said. Ferris students were less optimistic about the plan. “Is this an April Fool’s joke, or is Ferris really trying to bring a stupid, old Spongebob meme into practice? And are you seriously writing about it as if it’s still funny? This is ridiculous,” Ferris social work sophomore Brenda Morrisey said. Others were more open to the idea. “I hope they decide to push us closer to the bars. I hate having to stagger all the way back to Ward Hall after a night out,” Ferris undecided freshman Jake Haustich said. At press time, Scoby was seen shouting, “PUUUUSH,” into a bullhorn while a few hundred students strained against buildings that weigh several tons and are anchored to the earth. Click here instead of clicking elsewhere.